HostForLIFE’s servers are optimized for web applications such as Webasyst. The performance and the uptime of the hosting service are excellent and the features of the web hosting plan are even greater than what many hosting providers ask you to pay for. What is European Webasyst Hosting? 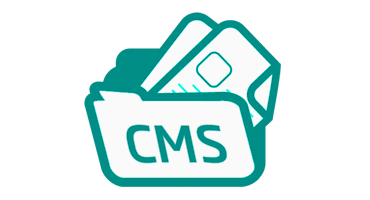 Webasyst is a CMS and an intranet combined. A suite of web apps for creating sites, blogs, online stores, and collaborating with your team — all in one place. Webasyst is a free PHP framework for creating sleek multi-user web apps and for building websites. Webasyst offers a multi-app UI ready for integrating and designing your app, handles user authorization, access rights management, routing setup, and much more. Great for creating web solutions for businesses and teams. Why Choose HostForLIFE.eu for Webasyst Hosting? Try our Free Webasyst Hosting today and your account will be setup soon! You can also take advantage of our Windows & ASP.NET Hosting support with Unlimited Domain, Unlimited Bandwidth, Unlimited Disk Space, etc. You will not be charged a cent for trying our service for the next 3 days. Once your trial period is complete, you decide whether you'd like to continue.